Chinese New Year has a varying date in the period January 21 to February 20. The first day of Chinese New Year begins on the new moon that appears between this period. Chinese New Year falls on Tuesday, February 5 in 2019. It celebrates the beginning of a new year on the traditional Chinese calendar. The festival is usually referred to as the Spring Festival in mainland China, and is one of several Lunar New Years in Asia. Observances traditionally take place from the evening preceding the first day of the year to the Lantern Festival, held on the 15th day of the year. 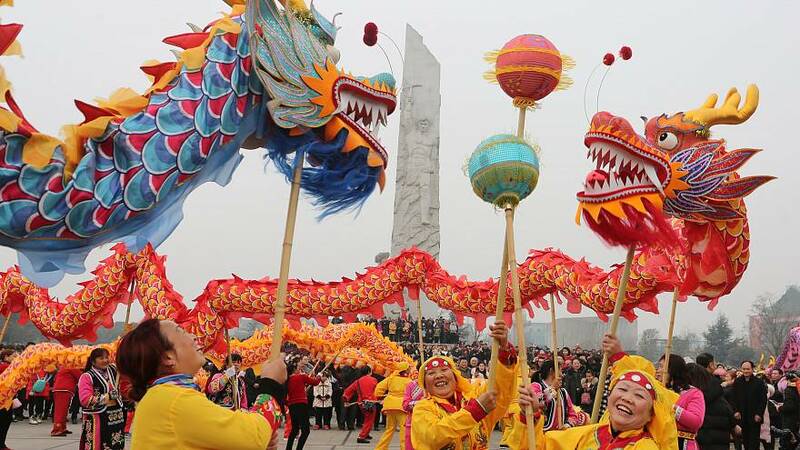 Chinese New Year officially begins on February 5th, 2019, and ends on February 19th.Fireworks, special clothes, red lanterns and lots of food will mark the occasion. In Chinese astrology, each year is related to a Chinese zodiac animal according to the 12-year cycle. 2019 is the year of the pig. The pig, is believed to be a symbol of optimism, enthusiasm and hard work. It is also a year for fortune and luck. According to the myths, the Pig was the last to arrive when the Jade Emperor called for the great meeting. Other sources said that Buddha called for a great meeting when he was about to leave the Earth. The Pig came in last. Legend has it that just as the emperor was about to call it a day, an oink and squeal was heard from a little Pig. The term “lazy Pig” is due here as the Pig got hungry during the race, promptly stopped for a feast then fell asleep. After the nap, the Pig continued the race and was named the 12th and last animal of the zodiac cycle. The main Chinese New Year activities include putting up decorations, eating reunion dinner with family on New Year’s Eve, firecrackers and fireworks, and giving red envelopes and other gifts.Dragon dances, lion dances, and imperial performances like an emperor’s wedding are seen during the New Year. Every street, building, and house where Spring Festival is celebrated is decorated with red. Red is the main colour for the festival, as red is believed to be an auspicious colour. Red Chinese lanterns hang in streets; red couplets are pasted on doors; banks and official buildings are decorated with red New Year pictures depicting images of prosperity. Wherever in the world people are, they are expected to be home to celebrate the festival with their families because it is a time for families to be together. The Chinese New Year eve dinner is believed to be the most important meal of the year.